All the best in Yeast! May-June 2016: Yeast Culturing, Harvesting, and Reusing, Fining Agents, Make Your Own Belgian Candi Syrup, Trappist Single, BIAB Brewing, Make Hard Root Beer and Ginger Beer, New Hop Round Up. 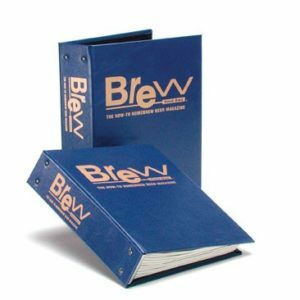 March-April 2014: Using Yeast Nutrients, Build a Stir Plate, Sparging Methods, Beer Foam, Vienna Lager, Ancient Nordic Grog, Induction Burner 101. 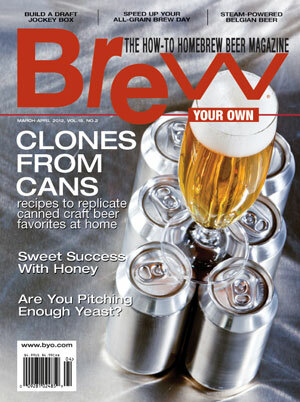 December 2011: Should you Rehydrate Your Dried Yeast?, Brewing the Brooklyn Way, Gotlandsdricka, Award-Winning Lager Recipes, Set Up a Home Beer Lab.